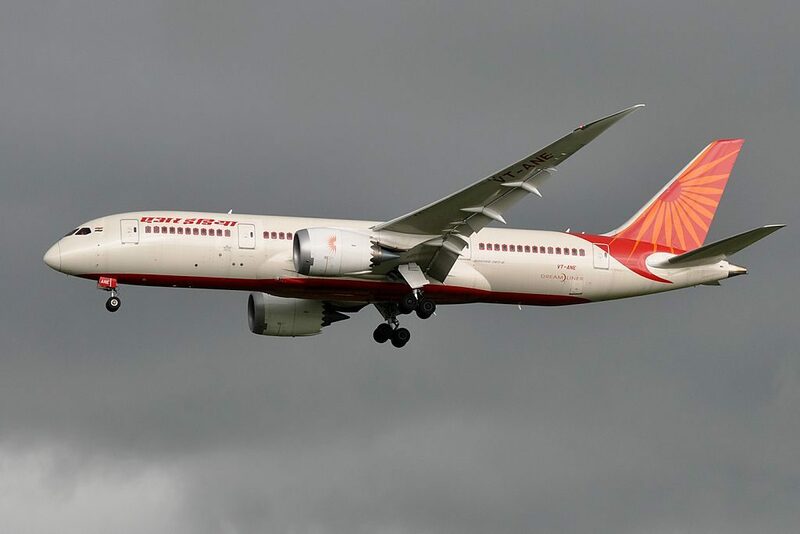 Air India Fleet Boeing 787-8 Dreamliner Details and Pictures. 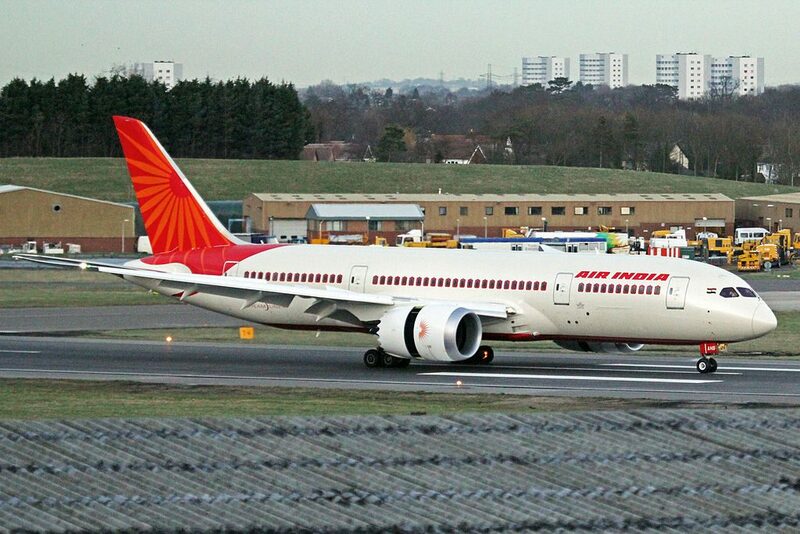 Air India operates 27 wide-body aircraft Boeing 787-8 Dreamliner. 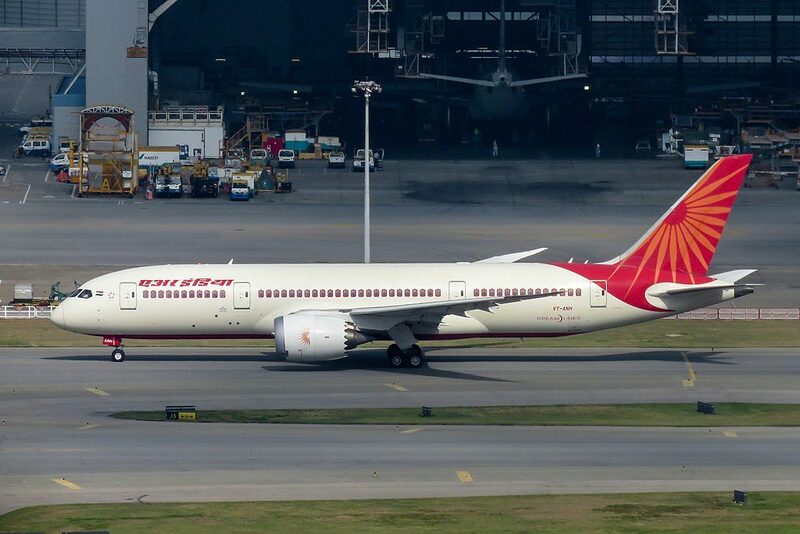 This brand new aircraft is smaller than B777-200LR or B777-300ER, but have longer ranges. 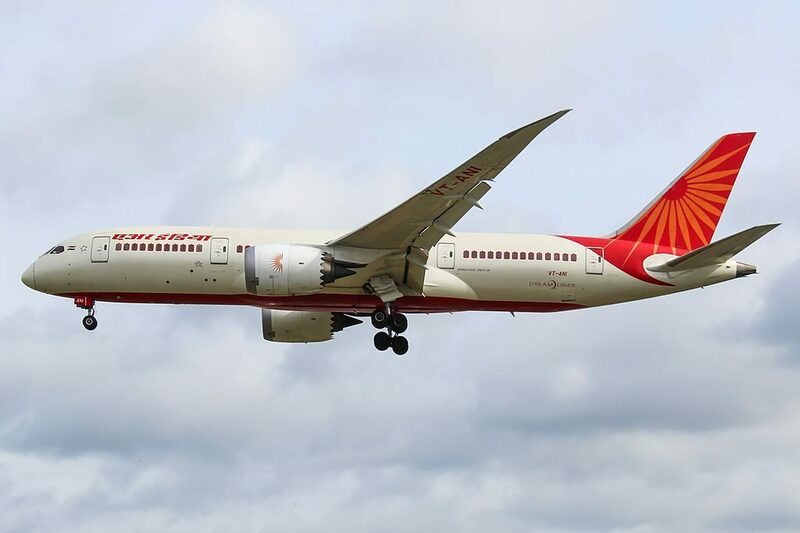 Boeing 787-8 consumes by 20 % less fuel than commercial airplanes of similar dimensions to replace which this Boeing airplane was constructed. The main construction of this airplane, including body and wing by 50 % consists of composite materials. 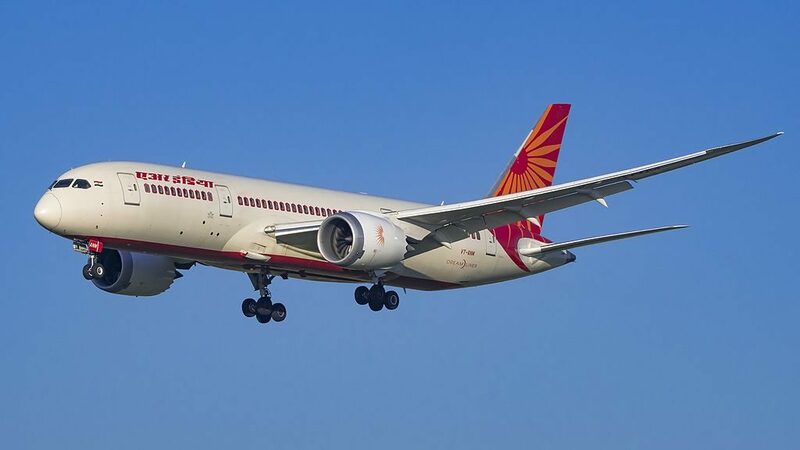 Windows of Boeing 787-7 are by 30% bigger than the majority of aircrafts of such dimensions have and their brightness is regulated with the buttons. 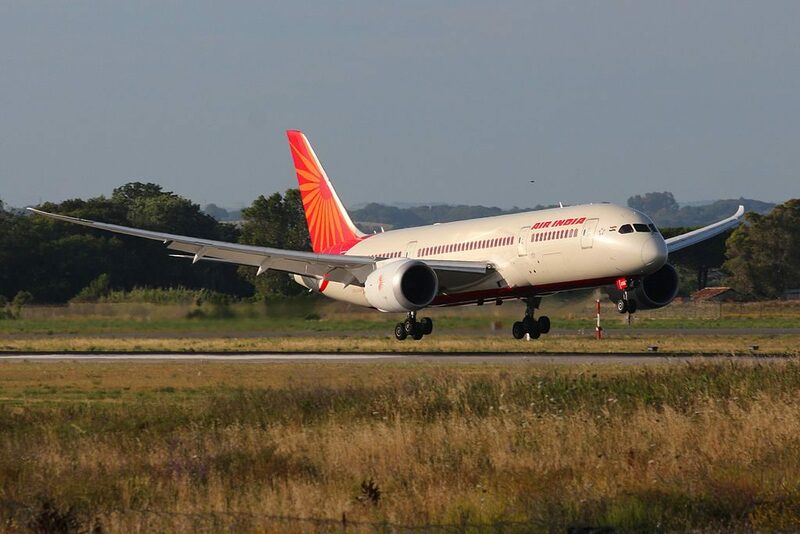 Ragged edges of engine nacelles reduce noise level by 60 % both inside and outside the cabin. 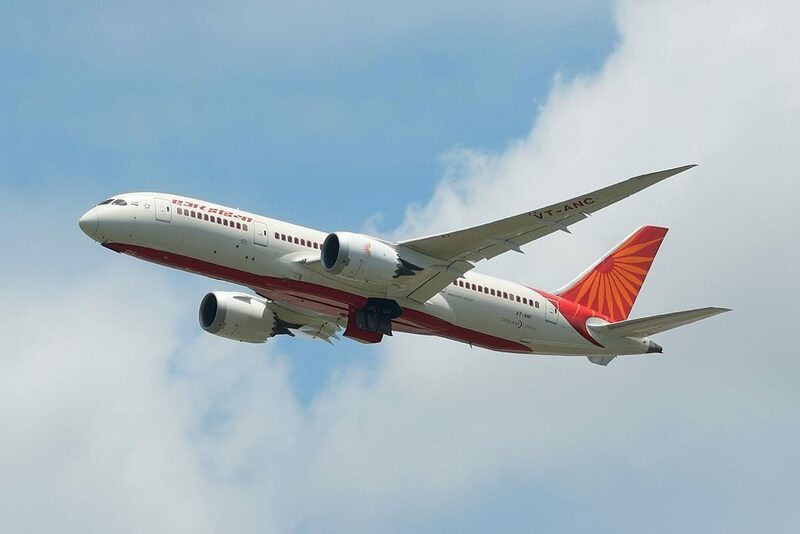 This airplane is also equipped with clipped wing tips that further to even higher fuel efficiency. 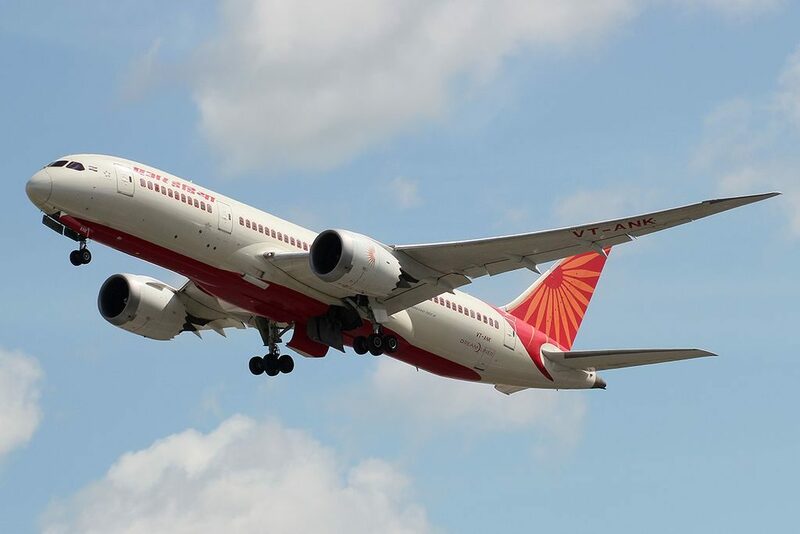 This Boeing 787-8 Dreamliner aircraft seats 256 passengers in a two-class configuration and is used on international long-haul routes. There are 18 seats in Business Class and 238 seats in Economy Class. Business Class features flat bed seats with 180 degrees of recline, an exclusive check-in facility, a lounge facility, and a complimentary amenity kit. 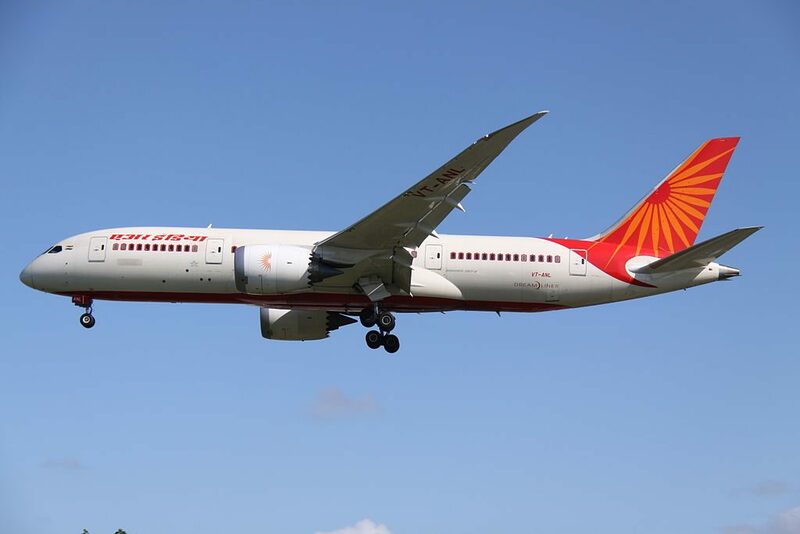 Economy Class features improved temperature and illumination control systems, choice of continental or traditional Indian cuisine, and complimentary liquor or wine. 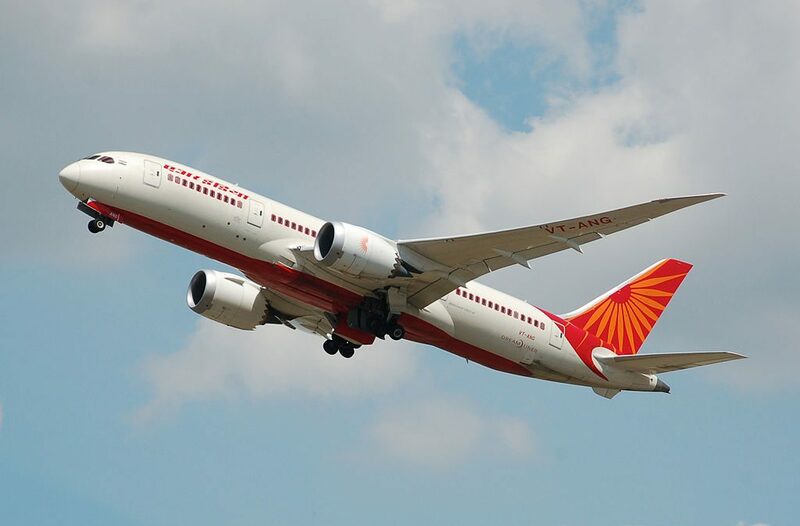 Boeing 787-8 Dreamliner owned by Air India offer 256 seats of two classes: business and economy. First three rows of seats offer 18 flat bed business class seats with 180 degrees recline, 74 inches pitch and 22 inches width. The only disadvantage of the seats of the 1st row is close location of the lavatories to the seats 1AB and of the galleys to the seats 1DF and 1HJ. 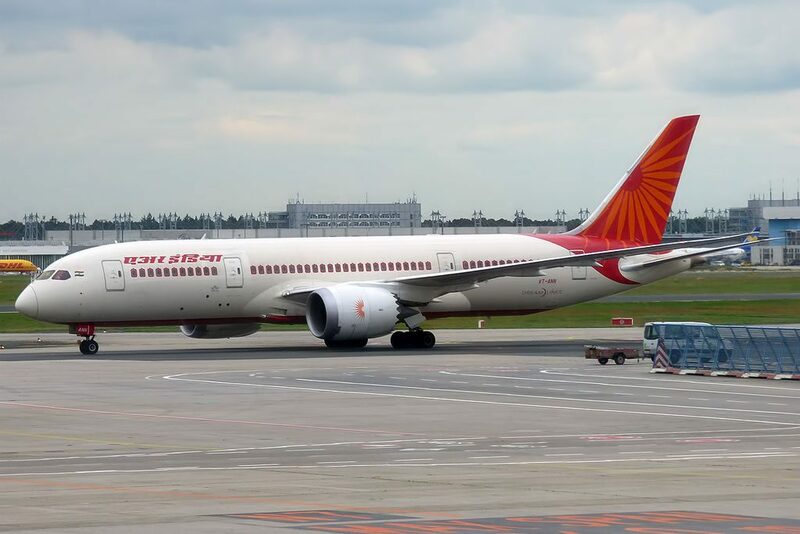 Noise from the galleys may also be bothersome for passengers of the seats 3DF. Behind the exit roe 238 economy class seats are located. These seats have 33 inches pitch and 17 inches width. The seats of the economy class are divided into two sections. First section consists of 17 rows. 16 rows have 3-3-3 configuration and 1 row offers 6 seats. Thanks to the exit row located in front of the seats of the 11th row these seats offer additional space for passengers’ legs. 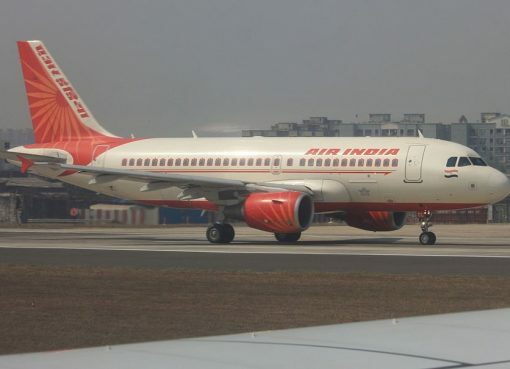 Among disadvantages of these seats: noise from the galley located nearby, reduced width because the tray tables are built-in the armrests making them immovable and lack of floor storage during take-off and landing. Proximity of the galley is the only disadvantage of the seats 12DEF. The seats of the 28th row have the following disadvantages: location of the lavatories behind and limited recline because these are the seats of the last row in the section. Second section of economy class seats is located behind another exit row. There are 11 rows of seats here. Passengers of the seats of the 30th row will feel comfortable thanks to extra legroom. 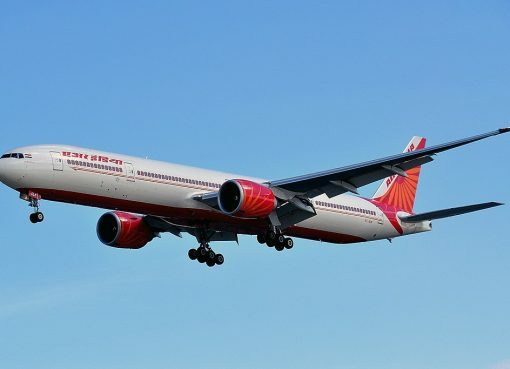 However, these seats have the following disadvantages: location of the lavatories in front, no floor storage during take-off and landing and reduced width. Missing windows make the seats 37A and 37J bad seats. For passengers travelling with a companion will be ideal the seats 39AB and 39HJ. 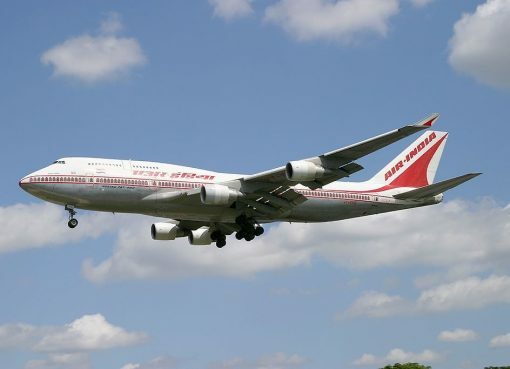 However, noise from the lavatories and galleys located behind make these seats bad seats as well as the seats 40DEF that may also have limited recline. Audio. This aircraft offers a choice of up to 12 music channels. Video. 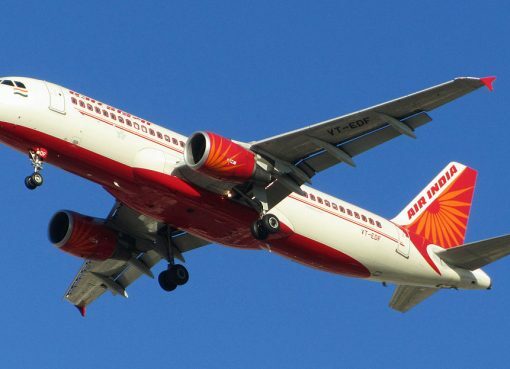 Air India offers a large selection of Indian and English movies and channels. AC Power. Personal laptop powerports underneath each seat in all classes. Food. A variety of snacks and beverages available on flights under 90 minutes. Hot meals available for flights longer than 90 minutes. 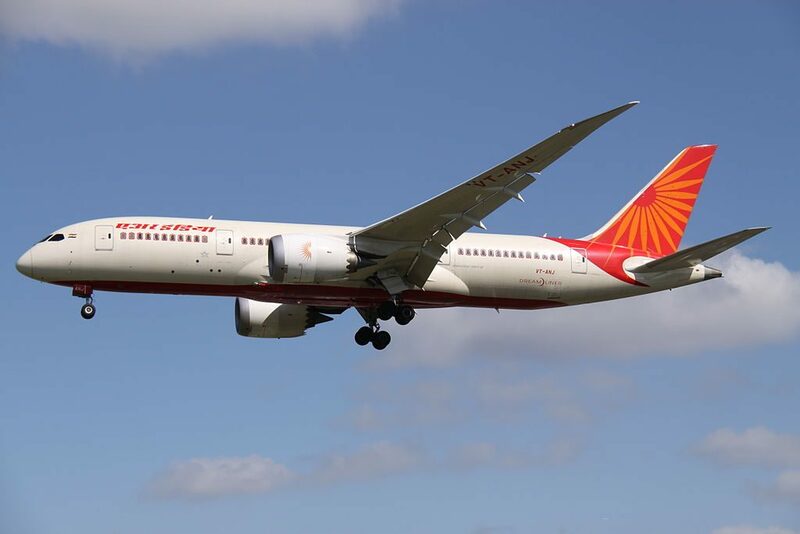 Thanks to visiting AirlinesFleet.com and read article : Air India Fleet Boeing 787-8 Dreamliner Details and Pictures.